Suppose your eight year-old child receives a weekly allowance of $5 (perhaps the amount dates us!) and instead of handing him a five dollar bill, you accidentally give him a $20. If he speaks up, you probably praise his honesty, but what if he doesn’t? How do you feel later when you notice your own error? The moment might prompt a lesson in honesty and a discussion of how silence can be dishonest. With your child, there might be room for debate, but what if the recipient is a medical institution and the money closer to a million dollars than five? That scenario might trigger a concept known as reverse false claims, a violation of the False Claims Act that may be costing the government billions a year. As a Northern California medical fraud lawyer, Attorney Gregory Brod is dedicated to working with whistleblowers to end all forms of costly frauds from purposefully filing claims for services that were never provided to knowingly accepting and keeping overpayments. The U.S. Justice Department provides a primer to explain key parts of the False Claims Act (“FCA” or “the Act”) and how the law works. As we’ve discussed in prior posts, the Act creates liability for submitting or causing another to submit false claims to the federal government. Medical fraud is one of the key areas in which the Act is invoked and cases are often brought under the “qui tam” provisions that allow a private whistleblower to bring a claim on the government’s behalf. The Primer also notes that Section 3729(a)(1)(G) creates liability for reverse false claims. Initially, this provision was pretty narrow but revisions to the Act in 2009 and 2010 made it clear that Congress intends this reverse false claims concept to create liability when a facility receives an overpayment for services and, despite being aware of the overpayment, fails to return the money within a 60-day period. In June, the Justice Department published a press release discussing claims against Continuum Health Partners, a health management company that oversees several hospitals, that were filed in a federal court in New York. The civil fraud suit focuses on “the hospitals’ fraudulent delay in fully repaying nearly $1 million in Medicaid overpayments for almost two years after it had discovered the overpayments.” According to the government’s complaint, a software problem caused Continuum to submit hundreds of improper Medicaid claims in 2009 and 2010 on behalf of network hospitals. Continuum became aware of the software glitch in late 2010 and an employee even created a spreadsheet detailing virtually all of the affected claims. Nonetheless, Continuum did not return the overpayments within the 60-day period provided by the law in such cases. Instead, they only repaid the government as the state brought groups of claims to their attention and only repaid the overpayments on 300 affected claims in July 2012 in response to a Civil Investigative Demand from New York authorities. The press release explains that a recipient of Government money must repay the Government within 60 days if it becomes aware of an overpayment. Continuum took two years and only repaid the monies after repeated Government inquiries. Preet Bhara, a U.S. Attorney in Manhattan, explains that companies cannot just keep improperly made overpayments and hope the government won’t figure out the error. Doing do is fraud and, as another state official notes, fraud on the Medicaid program affects everyone in the state. Similarly, fraud on federal healthcare programs impacts all Americans. 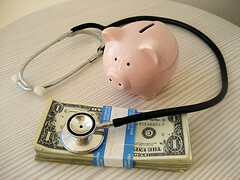 Healthcare fraud costs the nation much more than a $15 allowance mistake. Fighting fraud often depends on private individuals “blowing the whistle” on wrongdoers, often a current or former employer. Speaking up is the right thing to do. We encourage all potential whistleblowers to speak to an attorney who understands the field of healthcare fraud. Legal counsel can help protect you from retaliation and help ensure you receive any award you may be owed, which can be a substantial sum in these cases. Attorney Brod has the knowledge and experience to serve as a lawyer for health care whistleblowers in California. From an initial consultation through post-verdict/post-settlement discussions, Attorney Brod will serve as your legal guide, protecting your interests while together we work to protect the interests of our nation as a whole.